Are you interested in starting a garden or even just having a few plants? Are you a seasoned gardener looking for more tips? Join the Holistic Moms Network of San Jose and Join UCCE Master Gardener, Deyana Hopkins for an in-depth talk on Growing Warm Season Vegetables. 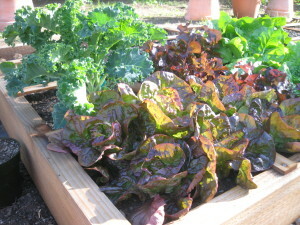 Learn how to create a healthy and productive warm season vegetable garden. The topics covered will be ‘Encouraging Beneficial Insects’ and ‘Growing Warm Season Vegetables: The cultural care, and the identification and management of pest and diseases’. Specific information will be provided for tomatoes, peppers, eggplants, beans, cucumbers, corn, melons and both winter and summer squash. Our purpose is to generate awareness, education, and support for holistic parenting and to provide a nurturing, open-minded and respectful community for parents to share these ideals. We serve to encourage moms (and dads) in their efforts to parent naturally and to raise their children holistically, to help holistic moms find others with whom they can connect and to continually educate ourselves and our families about alternative health, mindful parenting, natural healing and environmental stewardship. Join the San Jose Chapter of HMN!